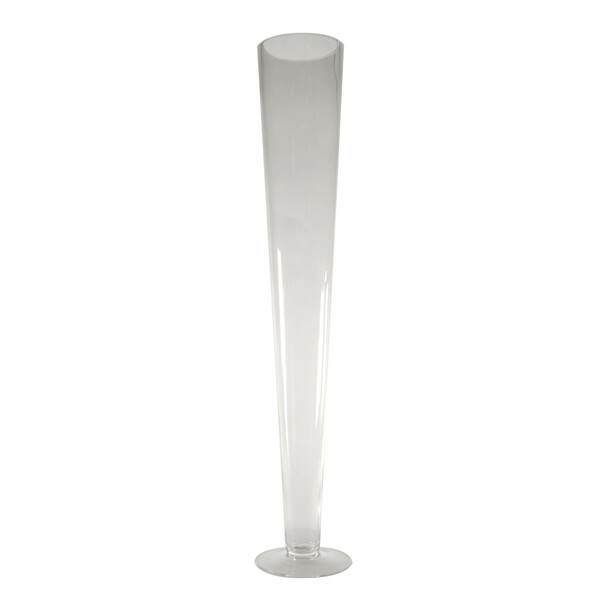 Glass White Trumpet Pilsner Vase. H-28", Open D4.5", Base 5.3", Pack of 6 pcs Discounts Apply ! Dimension: H-28", Open D4.5", Base 5.3"